Together, we got it done in Walnut Creek. I remember all of my evenings in Walnut Creek cafes, living rooms, churches, and offices since 2012. That’s when EBHO, Greenbelt Alliance, and several congregations and nonprofits began coming together to promote equitable development in the City. In 2012, housing costs were already on the rise – but they hadn’t begun to spike like they have in the last two years, to the point where a two bedroom in a newer Walnut Creek apartment building goes for $3,615/month. This is so far out of reach for the workforce that powers Walnut Creek’s retail-focused downtown, the City’s retired seniors who want to age in place, and other lower-income communities. At the time we got these conversations started, the City wanted to attract investment to its West Downtown and throughout the City. But who would the benefit of that investment go to? Would it go to the top of the market, or could we find a path to balanced, community-serving development through collective action? We asked ourselves that question as the Greenbelt Alliance and EBHO started organizing a community coalition with regular meetings. Slowly but surely, over meetings, hearings, and coffees, we sparked connections and collaboration. Community leaders lifted up the need for “homes we can all afford” and the housing solutions that work. 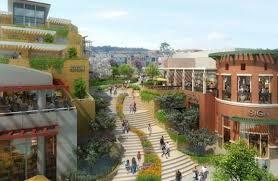 Walnut Creek’s decision-makers have a wealth of experience with real estate, land economics, and the housing market. So EBHO leveraged the expertise of its membership to publish a white paper and special Walnut Creek memo on capturing land value for community benefits and affordable housing. Over years of advocacy, leadership from local faith communities, working with city staff and supporting elected leaders, EBHO built up an affordable housing agenda for Walnut Creek, and got the City to a place where it was impossible not to take action. And most importantly, an increase of the affordable housing fee on new housing development from $15/square foot to $18, with an annual increase based on the construction cost index, starting January 1, 2018. We didn’t get everything we wanted. The staff proposal published in May recommended increasing the fee from $15 to $22/square foot. But the city also wanted to increase a traffic fee, which pushed down the affordable housing proposal. Still, this fee has raised between $3 and $4 million dollars per year in recent years, so a 20% increase (from $15 to $18/square foot) will give a big boost to the resources available for affordable housing preservation and development. This means a sustainable local funding pipeline that will expand housing resources for working families, retired seniors, veterans, people experiencing homelessness, and other low-income populations. Thank you to the EBHO members, community leaders, congregations, organizations and networks whose hard work and inspiration got us here! Walnut Creek’s City Council took bold action, showing Contra Costa County what local leadership on affordable housing can look like. It’s possible for Contra Costa to require the real estate community to contribute more community benefits, and it’s possible to create a framework for the balanced development of great communities. Now Walnut Creek has sent this message to San Ramon, Danville, Lafayette, other neighboring communities, and the County Board of Supervisors. And advocates will be in those communities to support affordable housing leadership based on the momentum – and win – in Walnut Creek. There is more work ahead. Walnut Creek needs to commit to strong anti-displacement and tenant protection programs, smart and green transportation options, and community benefits whenever a developer benefits from a special exception to city zoning. These issues are at the forefront of the West Downtown Specific Plan (projected to wrap up at the end of 2017), an area which recently saw terrible, direct displacement of multi-generational Latino households due to the development of high-end apartments. Additionally, the City’s North Downtown Specific Plan (which is just kicking off), will need community advocacy to secure one of several prime sites for affordable housing development in this opportunity- and jobs-rich area. And we can do it! With the networks that advocates have built in Walnut Creek, Concord, Richmond, and across the County, we will BE THERE to build consciousness, public will, and investment in solutions. The affordable housing movement is building up in Contra Costa, one brick at a time. Especially Margot Ernst, Housing Programs Manager, for your years of dedication, detailed policy analysis, coordination with stakeholders and elected leaders, and deep, long-term investment in Walnut Creek communities! And scores of others who sent mail and emails to their Councilmembers, showed up at hearings, and joined in this effort – for just a moment, or throughout!